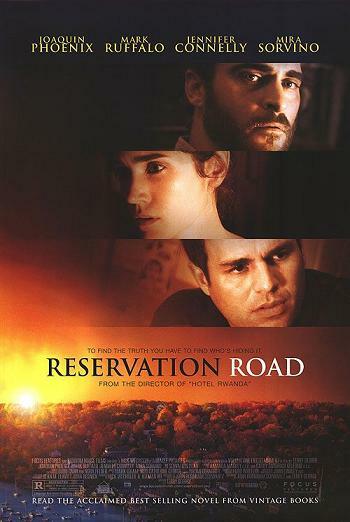 Jennifer Connelly co-stars in Reservation Road, directed by Terry George, as Grace, the wife of Ethan (Joaquin Phoenix), who copes with the death of her son when he was killed in a hit-and-run accident by Dwight (Mark Ruffalo). Ethan seeks to revenge his son's death and hires a lawyer who happens to be Dwight. Mira Sorvino co-stars as Dwight's ex-wife. Based on the novel of the same name by John Burnham Schwartz, who has written the screenplay with Terry George. Jennifer Connelly has previously starred in a wide variety of films including Blood Diamond, Little Children, Dark Water, House of Sand and Fog, Hulk, Requiem for a Dream, the underrated gem Dark City and, back in her teenage years, she starred in Labyrinth. She won an Oscar for Best Supporting Actress for her performance in A Beautiful Mind. I had the privilege to interview her. Focus Features releases Reservation Road on October 19th, 2007. NYC MOVIE GURU: What made you choose this role? JC: It has only happened to me a few times when I read something and I immediately know that I want to do it without any hesitation. I responded to it emotionally. It’s an interesting thing to think about how people respond to loss and the desire for revenge. NYC MOVIE GURU: Why do you think Ethan and Grace don't see eye to eye about revenging their son’s death? JC: There are different components to it. The betrayal is infuriating—the notion that they’ve been spending so much time together yet he didn’t know. I think that they differ in that Ethan and Grace a confrontation. It’s not that she doesn’t care; she just sees it differently. The thing that she’s wrestling with is that nothing will make it better. The problem is the hole in her life. I think that Ethan is chasing the demon that he created as if capturing him is going to set something right. I don’t think that she feels that it’ll take away any of the pain or suffering by inflicting harm on anyone else. The only motivation she has to figure out a place to put her feet down is her daughter, initially. NYC MOVIE GURU: How did portraying Grace affect you personally? JC: I felt it in my bones. Even if I had thought that it had nothing to do with my own family, something that hits this level of emotion and pain from deep inside, I think how could it not be forged out of the stuff that we’re made of? I am made out of a lot of love for my kids. I had really bad dream, my jaw locked up and I couldn’t eat. Even twice, I couldn’t sleep and that’s huge for me because I’m really good at sleeping. So, to that extent, it affected me. It surprised me that I never experienced it before. NYC MOVIE GURU: How did you know to trust director Terry George? JC: I really liked Hotel Rwanda. He’s a great writer. I had a feeling for his sensibility based on his credits. As soon as I met him, I felt aligned with him in the way we talked about the film. He’s very fluid as a director. If something happens between Joaquin and I and it’s working and maybe it’s not what’s exactly on the page, he can follow that with some fluidity. He’s got such a great sense of structure, so he can let things, sort of, slide around. You see him calibrating as he goes along. I really like working that way because I usually find I do that with myself when I’m doing things because you never know how exactly something’s going to work out. NYC MOVIE GURU: What other genres would you like to be in? JC: I haven’t been in a comedy, which is what I’m working in now. It’s called He’s Just Not That Into You with Drew Barrymore, who’s also producing, Jennifer Aniston, Scarlett Johansson, Ben Affleck and Luis Guzmán. It’s a nice change after a movie like this.